A.J. Letizio Sales & Marketing | A.J. Letizio comes out in numbers in support of New England Food Foundation! A.J. Letizio comes out in numbers in support of New England Food Foundation! At A.J. Letizio Sales & Marketing, one of their fundamental missions is to give back to others. Throughout the year, their staff supports and volunteers for various community events. During the holidays, A.J. Letizio Sales & Marketing had a large team at the New England Food Foundation Caravan! 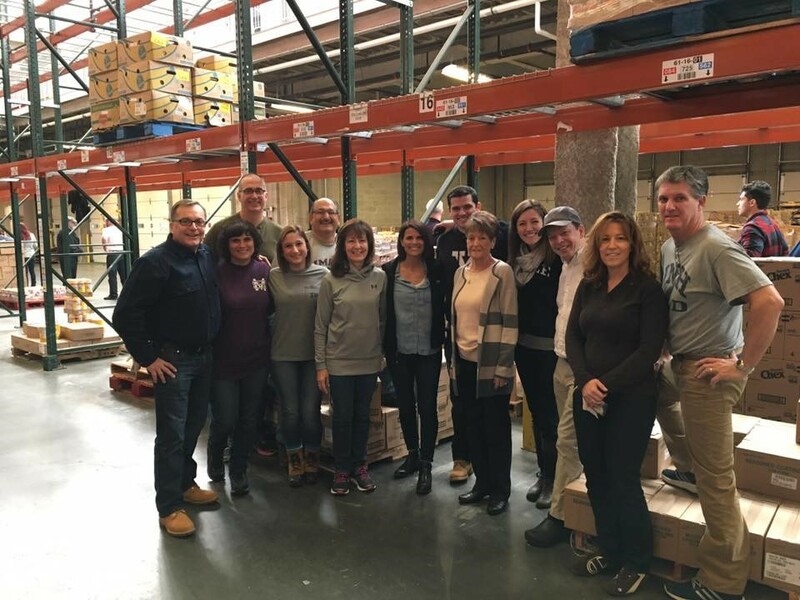 Boston Food Bank, the New England Food Foundation hosted their annual Holiday Caravan. This year, they were represented by 12 of our family members including Al Letizio, Patti Letizio, Bob Tessitore, Debbie Tessitore, Nick Letizio, Pauline Letizio, Kap Maksian, Chris Maksian, Jenna Maksian, Marc DiPersio, Lisa DiPersio and John Gentile. Joining AJL team members in the picture are Alma and Paul Wahlburg of A&E’s Wahlburgers, who were there filming a holiday special.